A light abrasive pad for spray buffing to a satin gloss. The fibers are more open to help keep the pad from glazing over. 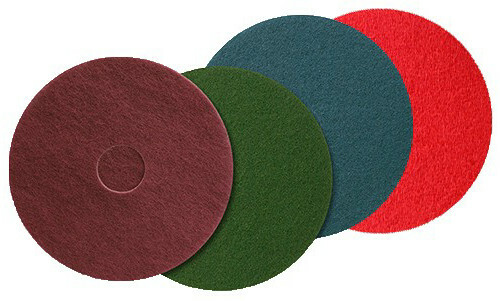 A mildly abrasive dry buffing pad for slow speed floor machines. 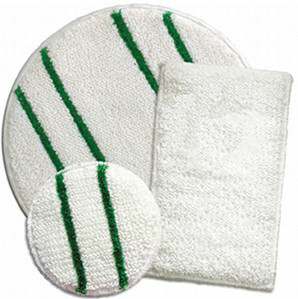 The Tan Buff pad will buff away light soil and level scratches for a soft luster. 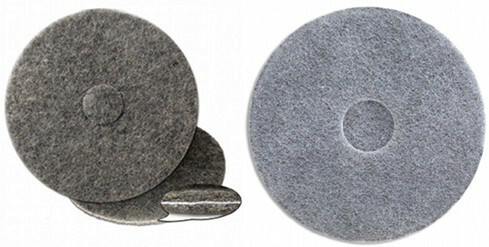 A non-abrasive dry polishing pad for slow speed floor machines. The White Polish pad will level scratches for a high luster. As a Maroon deep scrub & recoat pad, The Redwood® can be used wet or dry to remove multiple layers of finish prior to re-coating. The Redwood® is a 3/8” pad and should always be used with a 1” ETC pad to drive it. ETC’s Redwood® floor pad is designed to recondition the surface of a wood floor (gymnasiums, parquet areas, etc…). With its fine abrasive action, it will smooth the surface of raised wood fibers that are created when using water-based sealers and finishes. It will deburr, smooth and clean wood floor surfaces between coats to give you adhesion and the resulting level surface needed for that next coat. 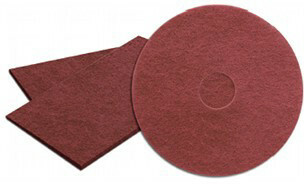 Redwood® is a 3/8-inch pad and should be used with our 1-inch ETC Red pad to drive it. This pad is designed for a burnishing schedule that calls for use 3 to 4 nights per week. It produces a very bright “wet look” shine with soft to medium finishes. Use Aqua Plus® under electric, battery or propane machines with ultra high speeds of 1500 to 3000rpm. 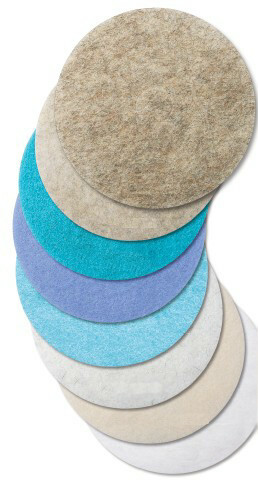 Aqua Plus® is made from durable high-tech resins and fibers plus a light sprinkle of natural fiber. Use to help cure freshly laid finish as soon as it dries. Perfect for overnight recoats before holiday traffic. It’s super soft to keep from pulling the finish up. It’s strong to stand up under propane, cord electric or battery floor machines, and it’s flexible to keep from burning uneven floors. 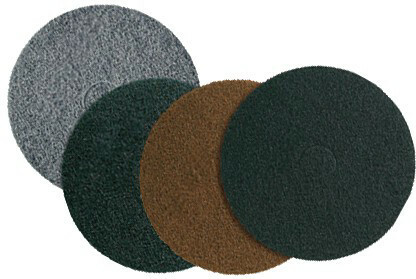 An aggressive pad designed for dry stripping floor finish. 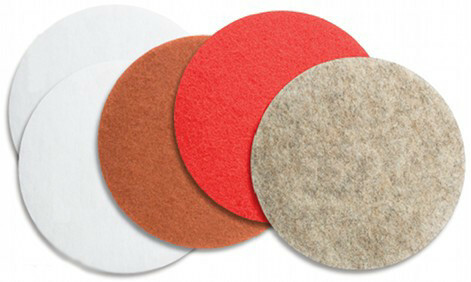 Its fibers, throughout the pad, are coated with high quality abrasives for a fast, efficient job. The ACS Turbostrip Segmented Rotary Strip Pad features 24 polygonal segments with overlapped angular edges that bite into floor wax aggressively. 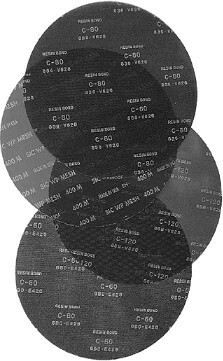 Independent lab tests show that it achieves up to 5 times faster wax removal than standard black strip pads depending upon the number of coats need to be removed. This pad dramatically reduces excess floor wax on strip pads. The pad life increases while the floor stripping work is completed faster. 90-degree heat bonds silicate coatings. Uses unique heat shield. Two sided for twice the life! Blend of natural and synthetic fibers. No color transfer from added dyes. Burnish all types of concrete densifiers, hardeners and sealers. Very high glossmeter readings due to the heat. A multiple speed floor pad specially designed for concrete. It’s constructed as a one-inch premium concrete floor pad with abrasives and aggressive bond containing no dyes to transfer to your floor. 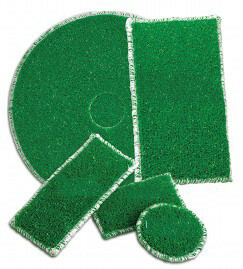 Armadillo® pads will give you the “polished look” of a burnishing pad while cleaning and removing surface dirt and scratches over time using an autoscrubber. Most aggressive. For damaged floors or use after grinding. HD removal of scratches and discoloration. Produces and maintains a “wet look” shine. Can be used on concrete, stone, terrazzo, tile and VCT. Not all carpet bonnets are created equal, and ETC is proud to offer the most durable and reliable carpet bonnet in the industry today. 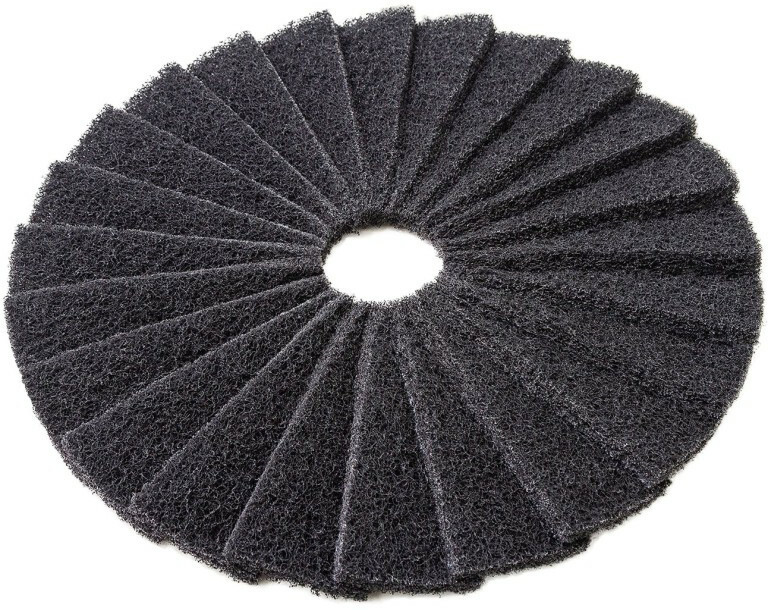 ETC’s Tiger® carpet bonnet features a looped-end synthetic yarn with non-abrasive pile lifting and cleaning stripes. This double-sided, washable carpet bonnet delivers long wear and minimal linting.